Every once in a while you have to take a risk--it's good for your heart. Or maybe bad. But you've just gotta do it. One of those risks for an author is to write a series that doesn't fit neatly into a genre. Or any three genres. 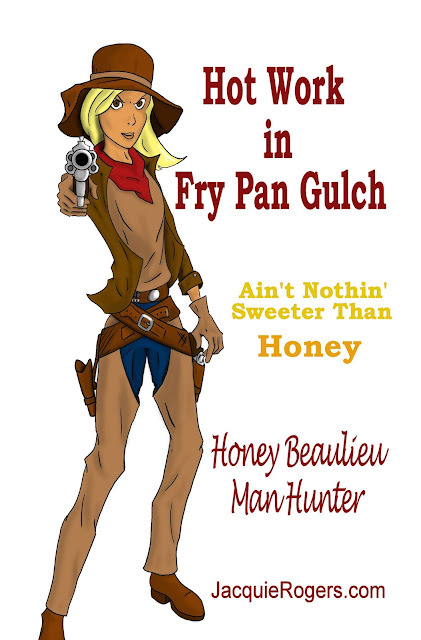 That's Honey Beaulieu. I couldn't be happier that her story will finally be told. She's been waiting in the wings for over eighteen years—and not all that patiently, I might add. Her wait is the story of my writing career, almost. I began writing in 1996 when I dreamed a story. That manuscript wasn't completed until two years later. About three chapters from the end, characters and situations for other books began swirling in my head, which sure didn't help to get that first one finished. the book, which I did. I think of that folder as my own private treasure chest. Many of those ideas developed into books--all the Hearts of Owyhee books came from that, as did Sleight of Heart. action/adventure protagonists that I knew of. So this idea stayed in my treasure chest, but every once in a while Honey pounded on the lid. I never forgot her, but writing a book takes a very long time and a lot of commitment of resources, so writing an unmarketable book wasn't in the cards. Then, last year, my critique partner and I were discussing where I should go with my next series. For some reason, Honey banged on the lid of the treasure chest again. Only I have to admit, her name was originally Pansy. She always did hate her name, which is why I changed it in the first reference to her in Much Ado About Marshals (first published in 2011), and she hasn't complained since. So for the first time since 1998, I opened the file and sent it to my friend. She loved Honey right off the bat, almost as much as I did. She pointed out that these days we don't have to write to someone else's specifications--I can write anything I want! Furthermore, she convinced me that my readers would love it. I was excited so didn't tell her my misgivings--at least, not many of them. But I worried that my readers wouldn't go for the grittiness or the more bawdy tone. Even so, once I got all the books that I'd committed to writing off my plate, Honey took stage, front and center. She's not wanting to move off, either. In my initial concept back in 1998, Honey and her two sisters were all pistoleers. Over time, she brought me around to her way of thinking--this series was hers and no one else's. Her sisters' personalities haven't changed but they aren't pistoleers, and the series is definitely all Honey's. So please enjoy the ride along with Honey Beaulieu. She's quite a gal. She even has her own blog! Author’s Note: I tried to relax at the beach, I really did. I settled onto the sofa, propped up my feet, and took in the tropical view outside. But then…I picked up one of those coffee-table picture books* and began flipping through the pages of local history. That’s when I saw his familiar deep-lined, slightly defiant face, frozen in grainy black and white. Now just what are you doing in a book about Pensacola Beach history? I asked him. 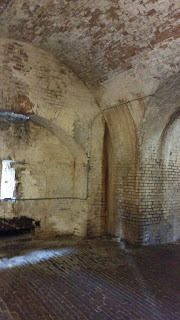 I would spend the next two days creeping through the damp corridors of an abandoned fort, then researching and writing this blog post. The cross-country trip by train had been fraught with delays: damaged tracks and the clearing of an accident near New Orleans. It was late October of 1886, but the heat still hovered like a stifling blanket over the coastal South. A stocky, weathered man shifted on the sticky leather seat. Light high-desert breezes stirred at the back of his memory. At every depot stop, hundreds of people thronged to catch a glimpse of the train’s special cargo, holding up coins in exchange for any souvenir he might offer: a button, a belt ring, a shred of clothing. When the train reached the railroad wharf at Pensacola, Florida, a double row of soldiers shielded him and his traveling party from onlookers as they stepped from the coach and made their way aboard an excursion steamer. Dozens of boats bobbed in the choppy bay waters. People pointed, waved, shouted his name. He and his fifteen companions crossed the largest span of water they had ever seen, bravely ignoring the porpoises rolling in the waves alongside the boat. In his culture, souls crossed over into death in the bodies of fish. 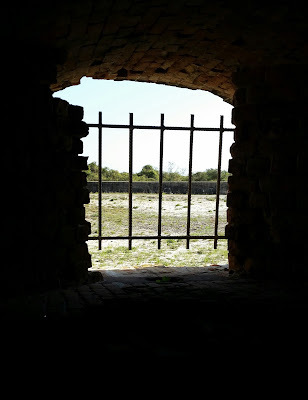 Ahead, on a small island, loomed a hulking red brick fort surrounded by brilliant white sand and sparse, twisting pines. 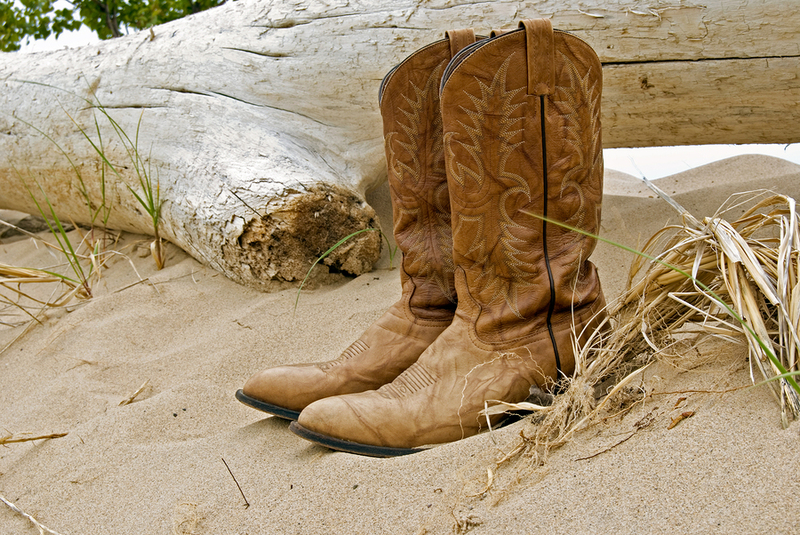 When his foot touched the edge of the beach, salt water closed over the toe of his boot. Geronimo–feared Apache leader and terror of the southwest plains–followed the guards up the sandy slope and into the dark barrel vaults of Fort Pickens. 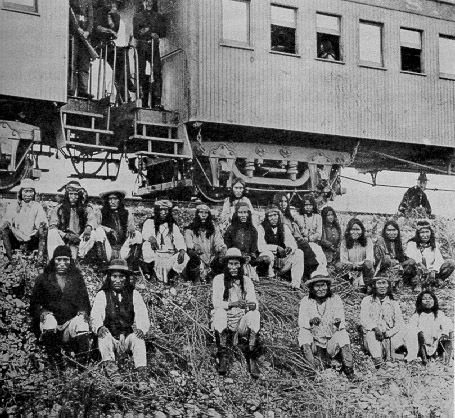 The Bedonkohe band of Chiricahua Apache, under the leadership of Geronimo and Naiche (Natchez), son of Cochise, spent years conducting raids across the Sonora and into Mexico in resistance to white colonization and confinement of their people to reservations. Geronimo especially hated the Mexicans, who had murdered his mother, wife and children. Finally, in a desperate effort to end the Indian Wars, the U.S. Army recruited Apache scouts and sent thousands of troops across the Sonoran Desert and into the Sierra Madre mountains. Their objective: flush out Geronimo and bring him to justice for the countless murders he had committed. 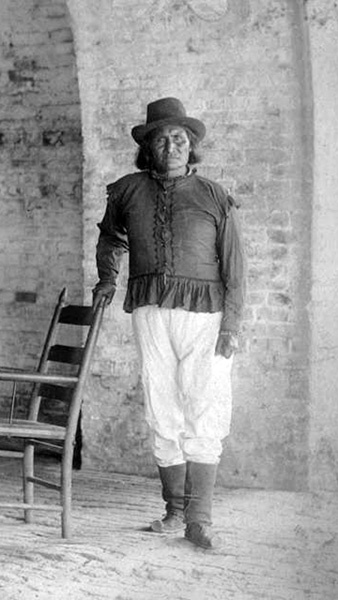 While the Apache wives and children were shipped to Fort Marion in St. Augustine, Florida, Geronimo and his best warriors (including cousin Perico and the six-foot-four Natchez) were rerouted to Pensacola due to a petition filed by a local business opportunist named Sowell C. Cobb. It could be argued that one of the earliest tourist attractions at Pensacola Beach was this small, proud band of Apache warriors. Sowell Cobb’s vision of Pensacola popularity came true. Visitors from around the world sojourned to Santa Rosa Island for a viewing of the imprisoned savages. Great yachts moored in the sound while the esteemed passengers disembarked in hopes of meeting Geronimo face to face. 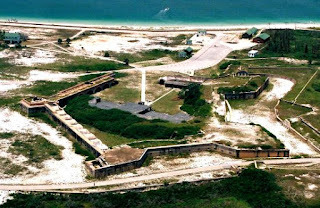 The Apache were occupied with repair and maintenance of the aging Ft. Pickens. They dug water wells and planted Bermuda grass on the parade grounds. In the summer of 1887, they were given permission to celebrate a ritual Corn Dance. In May of 1888, Geronimo’s group was reunited with their families and tribesmen and were moved to Mount Vernon, Alabama, where they spent five years. Their popularity soared even more. At times, the crowds reached a thousand a day. 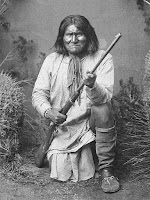 Geronimo died at Ft. Sill in 1909 just short of his ninetieth birthday, having never seen his Arizona homeland again. He spent his last twenty-seven years as a U.S. prisoner of war. I feel privileged to have walked in at least a few of his steps. Okay, I admit it. 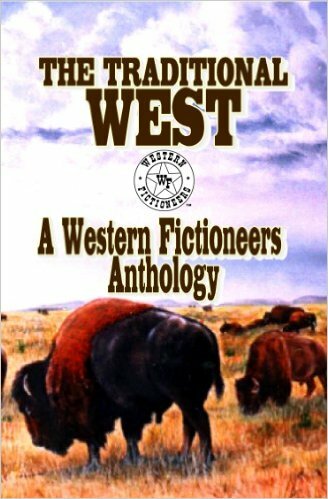 I haven't read enough of the western genre to really have a good opinion, so I'm hereby declaring that I am totally inept and biased. But hey, it is what it is. 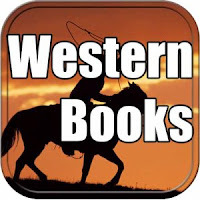 FEEL FREE to add your own "favorite western" books, give a reason why, and we'll all be happy. Or write your own blog post. This one's mine. 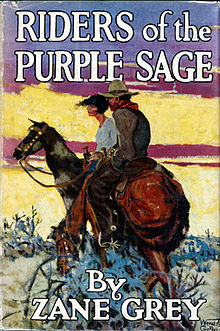 For me, this is a toss-up between Owen Wister's The Virginian and Zane Grey's Riders of the Purple Sage. Which I'm reading right now. 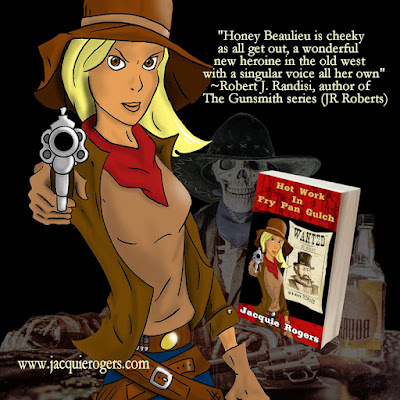 Have I read other western classics? No. Not yet. Give me a list of books and I'll add them to my (stacks and stacks) of TBR pile(s). 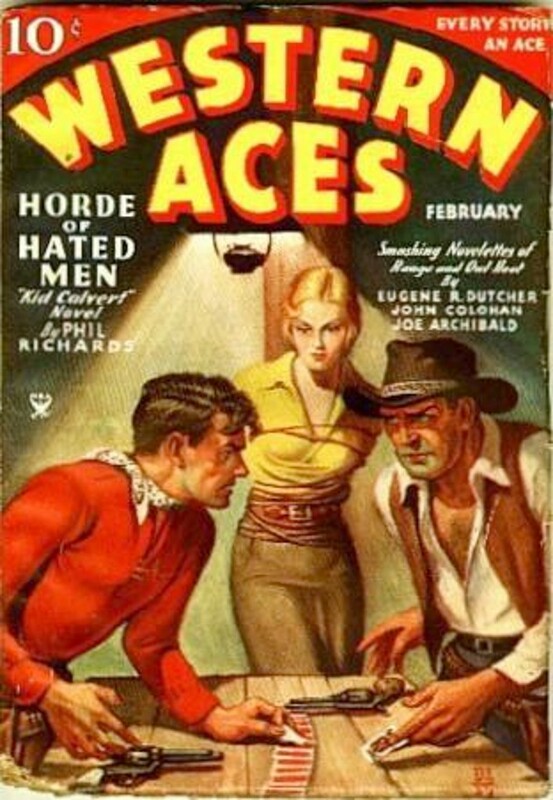 How can I say they're my favorites when I haven't read more Louis L'Amour (I read one, sorry - not my favorite), and how could I not have read Hondo, Shane and other classics? So hang me. And I really think Wister's style was wonderfully fresh and pure. 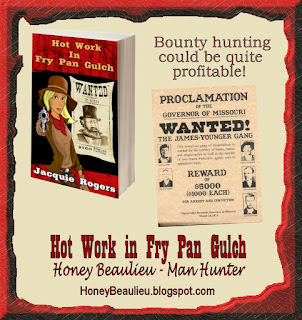 Sort of a romance set in the old west. Heh. Hoo boy. This one's tough. 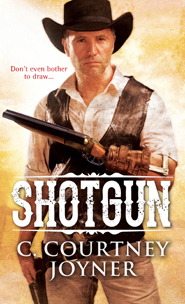 Again, because I haven't read a lot of shoot-em up westerns, but I will definitely throw these in my favorites ring: Johnny Boggs's West Texas Kill and Courtney Joyner's Shotgun. Go ahead and add to the list, because the more, the merrier. Just like at the O.K. Corral. Dodge those bullets. 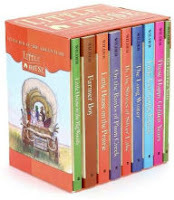 Who can fault Laura Ingalls Wilder's Little House series? Although her daughter Rose Wilder Lane helped write/edit them (read Susan Wittig Alber's A Wilder Rose if you're curious), Laura's childhood memories still resonate through the ages and give us a glimpse of how pioneer life was like. Through rose-colored glasses, I suppose, since she kept out some tougher times. My favorites of the series are On the Banks of Plum Creek and By the Shores of Silver Lake, but for grim reality, don't miss out on The Long Winter. For incredibly rich detail, read Farmer Boy. 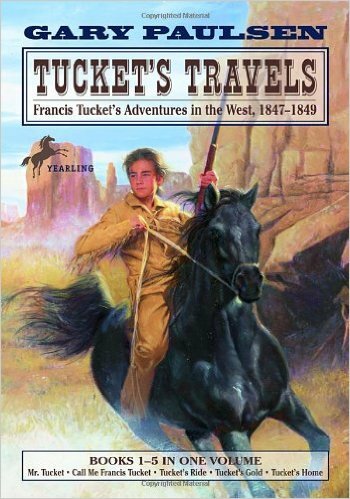 But I'm adding Gary Paulsen's Tucket series, because boys will LOVE the action in them, and Paulsen's tight writing. Definitely favorites. Hmm. 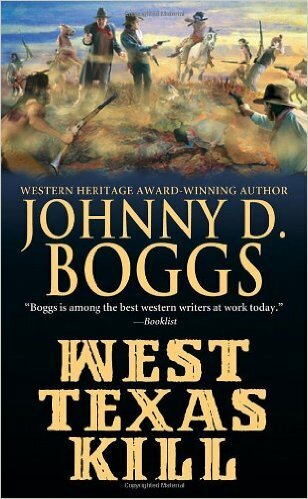 Some people would say Lonesome Dove by Larry McMurtry. I have to admit some favorites are far more romance than western: LaVyrle Spencer's Morning Glory and Hummingbird. I'd also throw in Pamela Morsi's Wild Oats and Courting Miss Hattie, plus Maggie Osborne's The Wives of Bowie Stone. But for more recent western romance, just go to Prairie Rose Publications -- my fave is A Cowboy's Brand (sorry, my own book is in the boxed set, but the others are fabulous too! ), but I also love Kathleen Rice Adams's Peaches and Livia Washburn's Charlie's Pie. 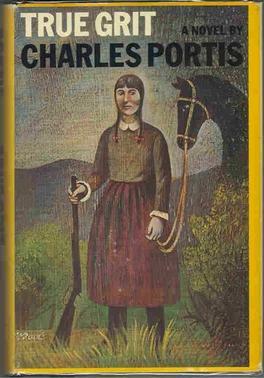 Hands down, it's Charles Portis for True Grit. No competition. Again, Portis's True Grit. 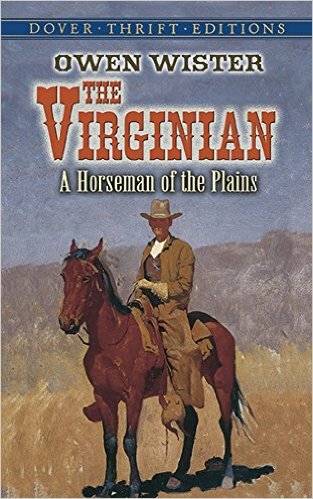 This book (and the John Wayne movie, of course) totally influenced me in writing Double Crossing (my version of True Grit on the transcontinental train). The Coen Brothers version emphasized how right I was in being influenced - what a fabulous book! And I'm not saying my book or writing style is anywhere near Portis, because it ain't. 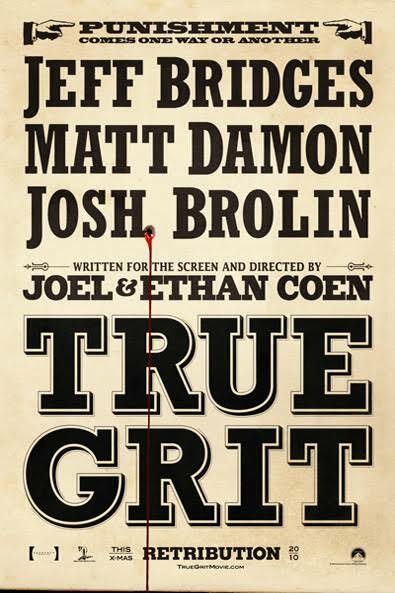 True Grit is simply a masterpiece. Which is why I made a "dialogue" category. 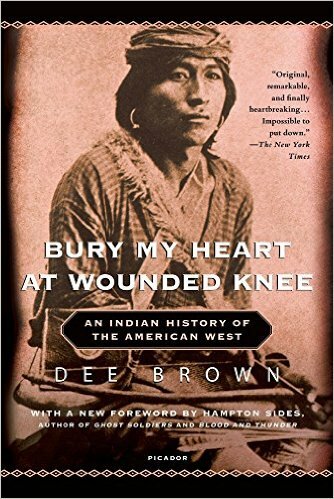 I have to name Bury My Heart at Wounded Knee, by Dee Brown, as my top contender. I cried while reading its stunning honesty. It's heart-wrenching. 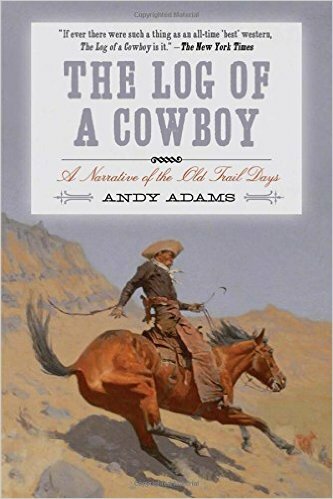 And while I've read lots of non-fiction research books, I guess the only one I enjoyed for its fun stories is Andy Adams's The Log of a Cowboy: A Narrative of the Old Trail Days. 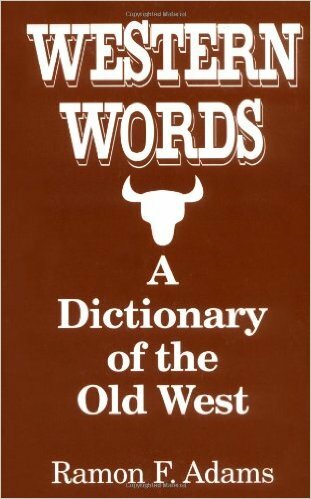 But I'll add in Ramon Adams's Western Words as a great resource. 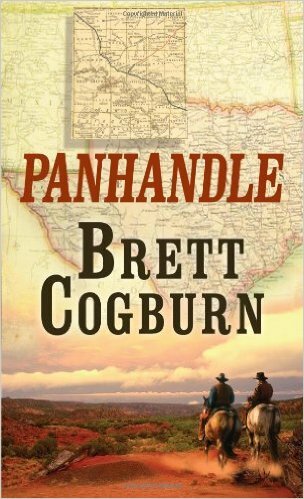 I loved Panhandle, by Brett Cogburn, and I also enjoyed The Traditional West anthology with Rod Miller's "The Death of Delgado" and Troy Smith's "The Sin of Eli". Both are fabulous in a fabulous anthology. 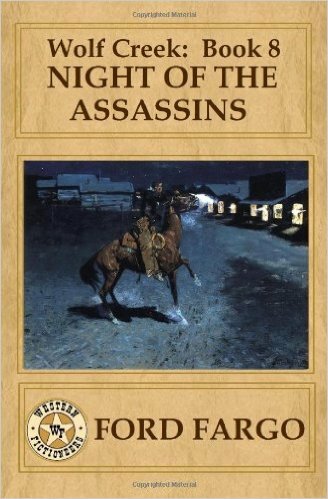 If you're a fan of the Wolf Creek books like I am, my favorite is Night of the Assassins. 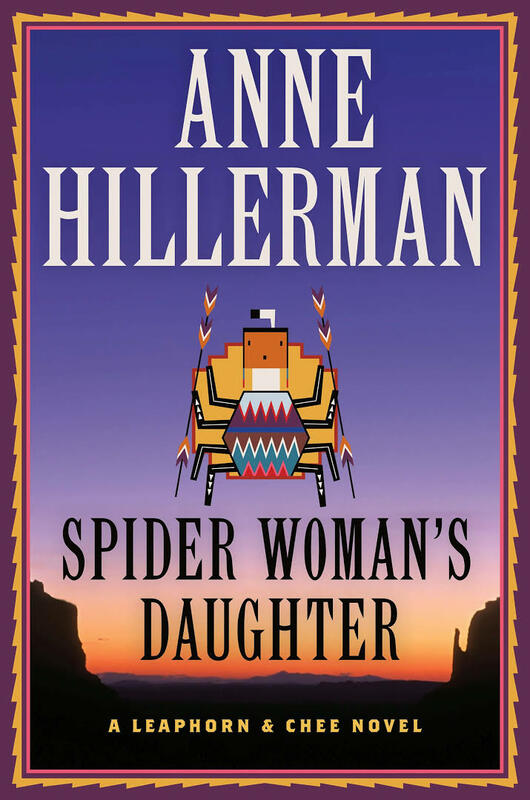 I will vote for Ann Hillerman's Spider Woman's Daughter, because she stepped into her father's shoes and made them fit her own feet - and she's making fresh prints in the mystery genre. 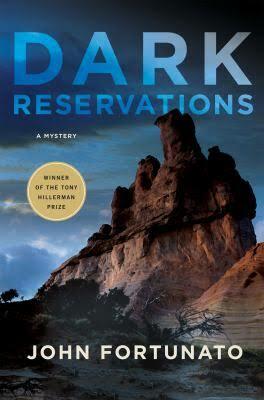 I'll also add John Fortunato's Dark Reservations, which won the Hillerman Prize. 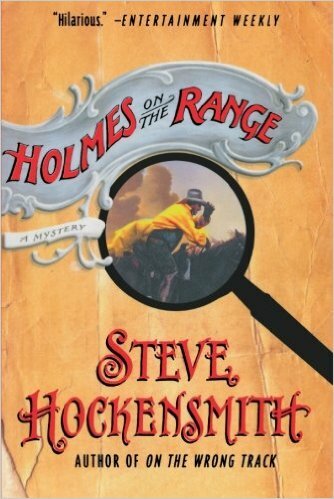 My daughter looooves the Steve Hockensmith series Holmes on the Range, which are also on my TBR pile. I'll take her word for it, since I trained her in reading mysteries. Heh. So there you have it. And I've got more western books that could be added, once I finish (if ever!) my TBR pile. It keeps growing, despite the whip and chair. READ!! 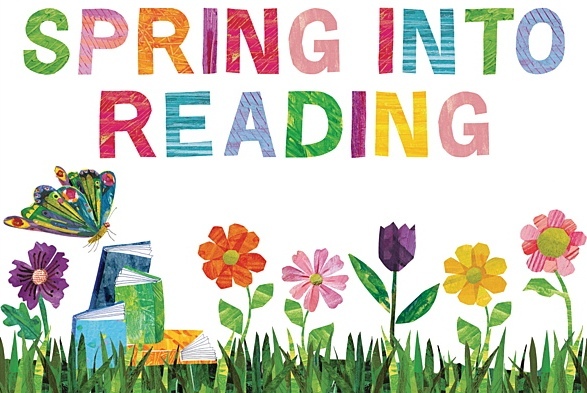 It *is* March, after all, SO SPRING into READING! And yes, I stole that from school days. But it fits! 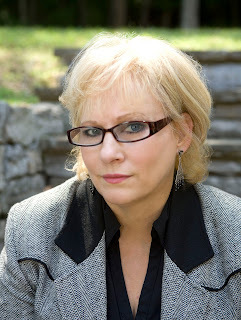 Award-winning author Meg Mims writes historical and contemporary novels and novellas, plus short stories for anthologies. 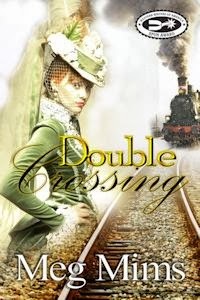 Double Crossing won the Best First Novel Spur Award. She is also one-half of the writing team of D.E. Ireland for the Eliza Doolittle & Henry Higgins Mystery series. Book 1, Wouldn't It Be Deadly, was nominated for a 2015 Agatha Award and Book 2, Move Your Blooming Corpse, is set at Ascot Racecourse. Meg is working on a cozy mystery series for Kensington that will debut in 2017 under the pseudonym Meg Macy. She lives in Southeastern Michigan, loves tea, books, Mackinac Island, cookies, and currently has a sweet Malti-Poo rescue. When I first came across Harlan Ellison's short stories, I often enjoyed his opening anecdotes more than the fiction that followed. Not that the stories aren't top-notch, but it's rare for a writer to divulge what led to a certain character or plot twist. Ellison's explanations weren't just fascinating to me as a reader, but became highly educational to the beginning writer I was. He may tell people tongue-in-cheek that all his ideas come from a warehouse in Schenectady, New York, but for anybody who's paying attention, the source of his ideas are incredibly well documented. Growing up, I was also a fan of Paul Harvey's The Rest of the Story radio program. Many were the summer afternoons I spent doing field work, suffering through the dreck of a static filled AM radio, waiting for that ten minutes where Harvey explained the unheralded connections between people and events, revealing cause and effect. 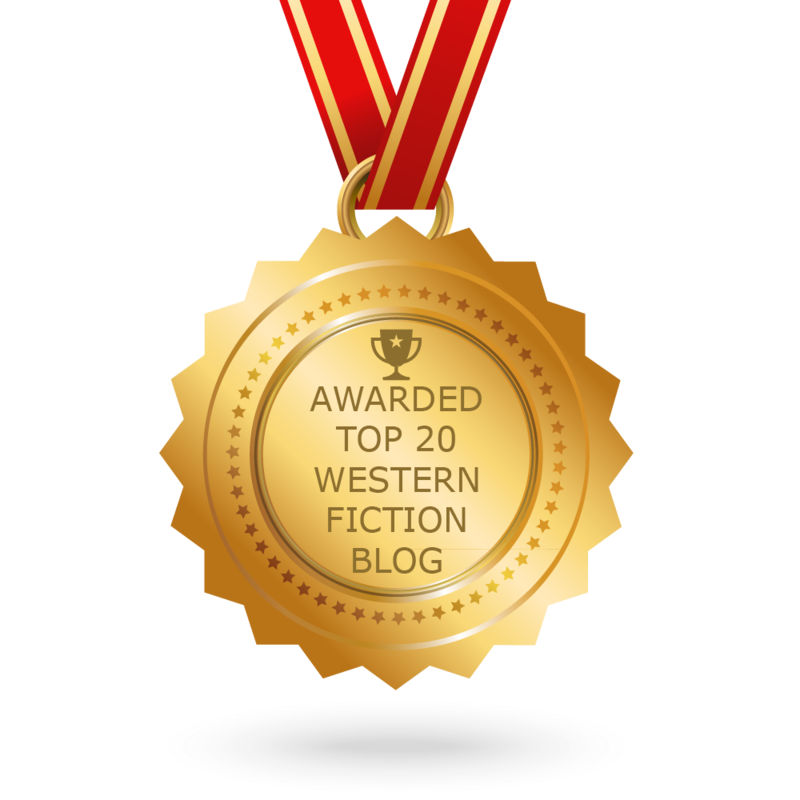 So just for fun I suggested to Cheryl Pierson a series of blog posts that will emphasize the Fictioneering part of Western Fictioneers. It's a challenge for myself to write a new story for the blog each month, and hopefully it'll be interesting to you, the readers, to see where the idea came from and how I put it together. 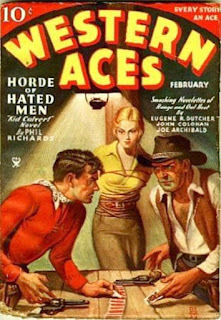 This month's story, “The Girl in the Yellow Shirt,” owes its heart and soul to James Reasoner, who first pointed out to me that many of the pulp western titles of the 30s and 40s offer similar cover paintings featuring a red shirted cowboy and a yellow dressed gal. Sometimes they look different, sometimes uncannily the same. Who were these two? I set about to find out. Meanwhile, as some of you know, my grandma left her home late last year for a nursing facility. The experience of sorting through a lifetime's worth of boxes, books, furniture and keepsakes, informed this story too. What surprises did we find? What memories that were completely forgotten? It all sort of gelled here in three sittings over the course of two days: roughly three hours and 2700 words. Please read The Girl In the Yellow Shirt here.